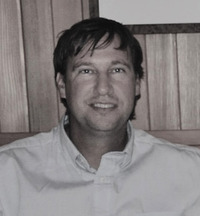 Justin Bog lives in the Pacific Northwest on Fidalgo Island, and is the author of psychological horror and suspense tales. Wake Me Up won Foreword Silver INDIES Book Award for LGBT novels! Wake Me Up won First Place Somerset Book Award! Sandcastle and Other Stories was a Finalist for the Ohioana Book Awards 2014 and also named Best Suspense Anthology of 2013 by Suspense Magazine. To ask Justin Bog questions, please sign up. Interested in writers’ lives. What are you doing right now? If you wrote a memoir someday, what would the title be? 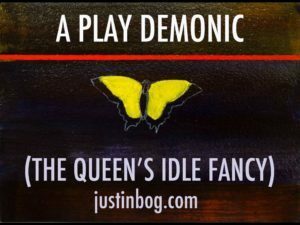 A Play Demonic: The Queen’s Idle Fancy continues with the 32nd serial installment of the horror tale. When last met, a strange force had arrived on the island and hid itself above the clearing at the top of Mt. Erie, where the audition for the role of Queen Stormag had taken place. The final decision will be made in this chapter, and more complications, future worries, developing. "Justin Bog has a great pedigree. He majored in English at Michigan and received an MFA from Bowling Green. Certainly a CV that I lack. And besides, he's a pretty damned good writer. We’d love your help. Let us know what’s wrong with this preview of Sandcastle and Other Stories by Justin Bog. "I received a copy of this in exchange for my honest review. We’d love your help. Let us know what’s wrong with this preview of Tangled Lights and Silent Nights by Kelly Stone Gamble. Justin Bog voted for The Hunger as Best Horror in the Final Round of the 2018 Goodreads Choice Awards. We’d love your help. Let us know what’s wrong with this preview of The Cabin at the End of the World by Paul Tremblay. We’d love your help. Let us know what’s wrong with this preview of House of Windows by John Langan. A memoir of loss, unbearable grief, a parent's nightmare and one that has great strength. Thank you, Vicky, for digging into your own journey, sharing. "People all over the world, join hands Start a love train, love train"
Blak wrote: "Nice to meet you, Justin! All the best. :D"
thanks, Blak, it is nice to meet other book readers here . . . sorry to get back to you this late. October had major family sadness and I checked out a lot of the time. Carol *Young at Heart Oldie* wrote: "Thank you for the friend invite, Justin!" so nice to connect about good books here at goodreads, Carol and Felicity . . . Thank you for the friend invite, Justin!